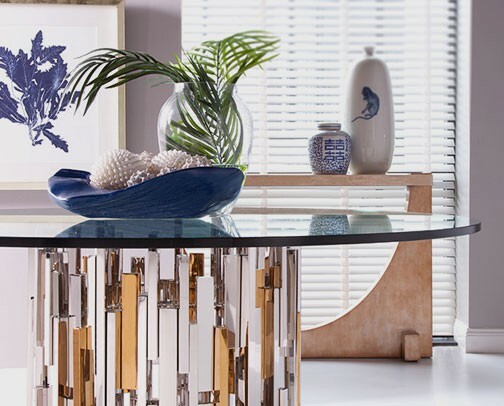 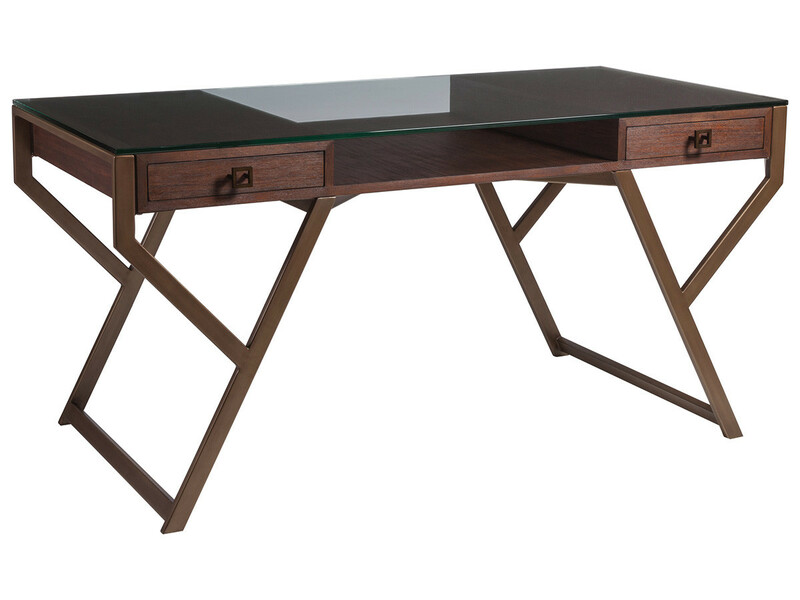 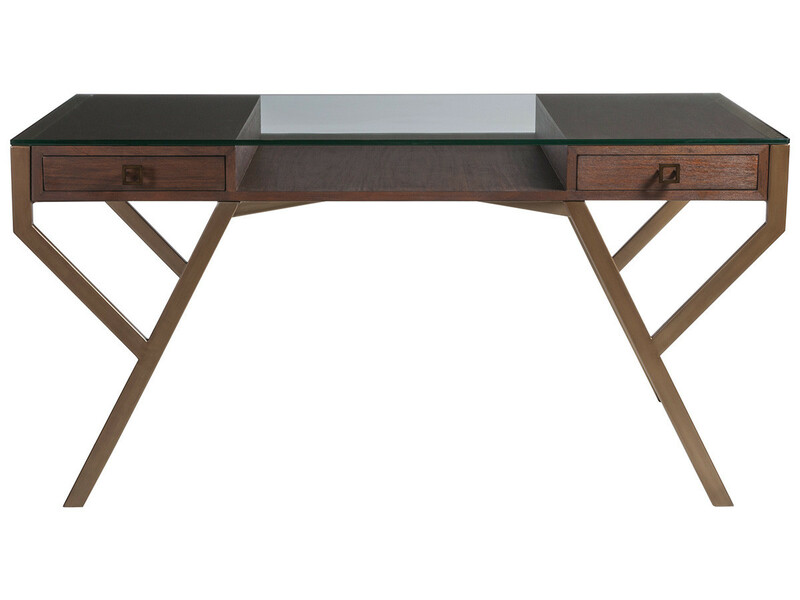 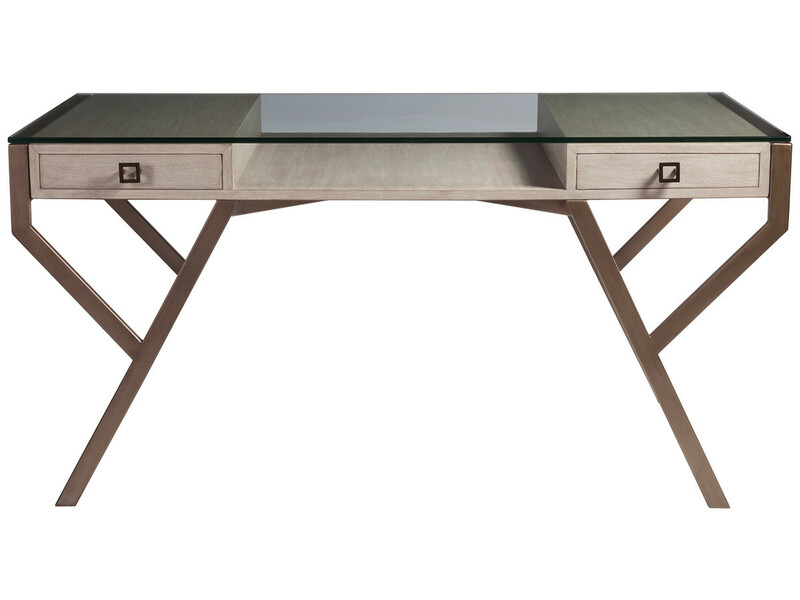 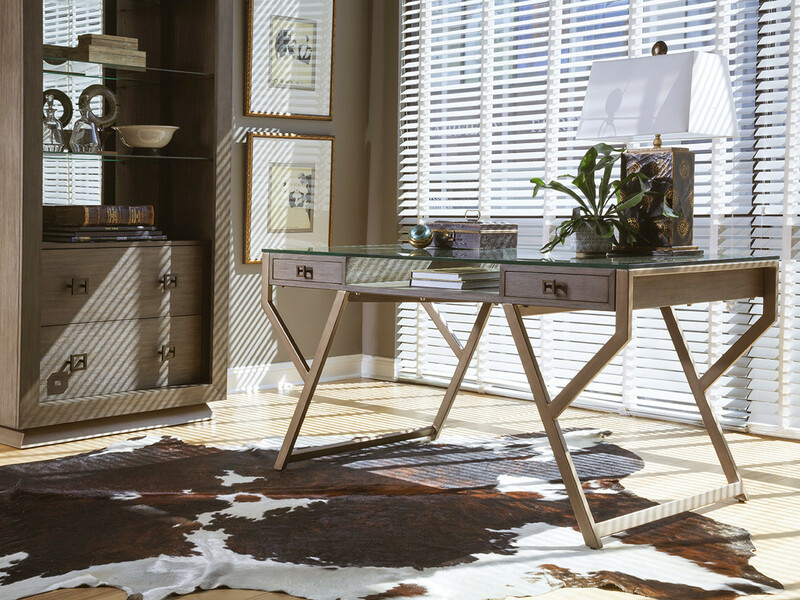 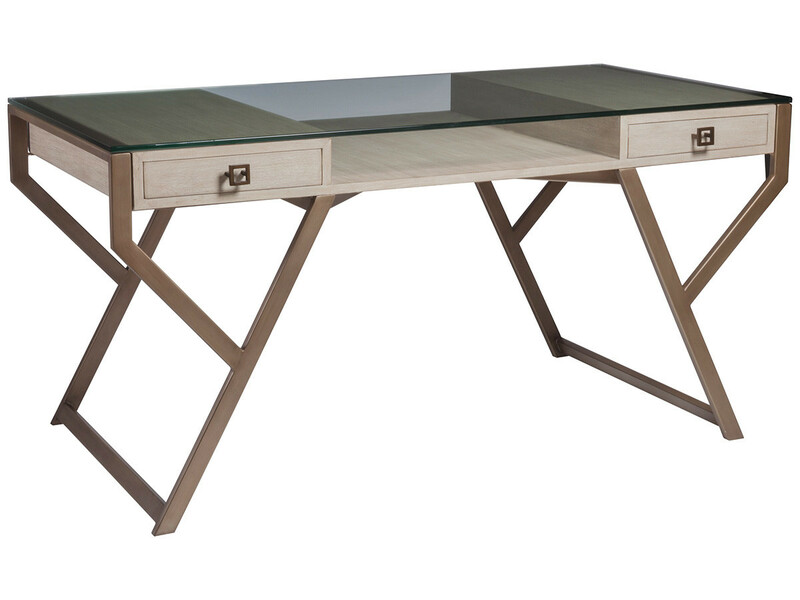 Contemporary writing desk crafted from Mahogany solids and veneers with a warm metallic finished frame and hardware and a tempered glass top. 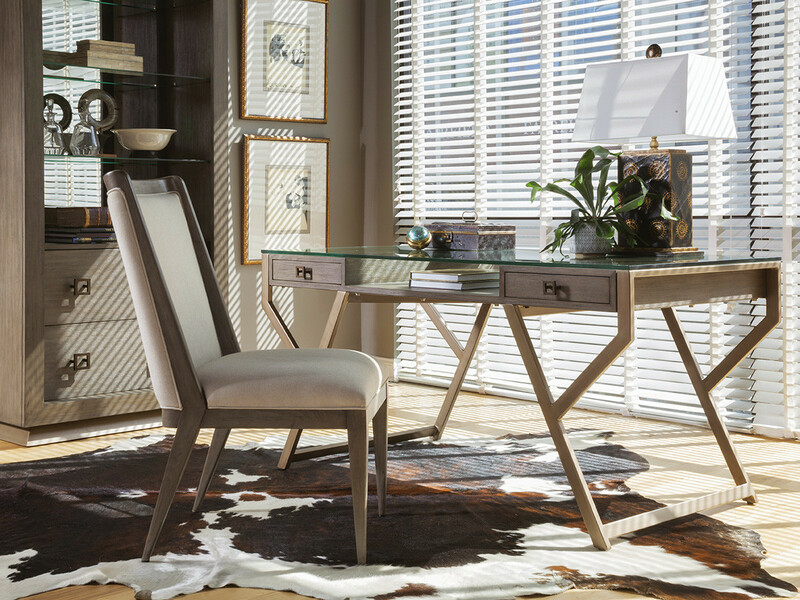 The Grigio finish is a warm gray tone with wire brushing. Dimensions: 60.75W x 30D x 30H in.